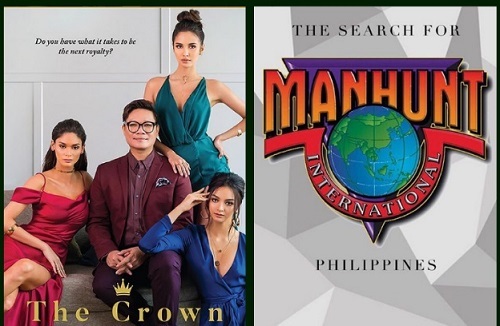 Beauty queen maker and talent manager Jonas Antonio Gaffud is the new franchise owner of Manhunt International Philippines. Aside from searching for the best girls to train for next year's pageants, we are also on the lookout for the next important male model to represent the Philippines at Manhunt International 2017 in Bangkok, Thailand on November 27. Details soon. We wish to thank all those who applied and sent their requests for the Manhunt Philippines Licensee Thank you for all supporters of Manhunt Philippines for your well wishes. We move on to a new era and look forward to welcome you New Manhunt Philippines 2017 in Bangkok, Thailand this November 2017. Prior to that, the franchise was owned by Prime Events Productions Philippines Foundation Inc. (PEPPS) through Misters of Filipinas pageant. In 2012, June Macasaet was named Manhunt International 2012 in Bangkok, Thailand, making him the first Filipino to win the title of Manhunt International since its creation in 1993. Patrik Sjöö of Sweden is the reigning Manhunt International 2016. Wishing Sir Jonas and his team the best as they mount the Manhunt International Philippines 2017.